Achieving better energy efficiency in your home is one of the best ways to alleviate high utility bills and reduce the strain on your household appliances. Since a large amount of your electrical budget during the summer goes toward operating your air conditioning system, it is important to focus on ways that you can maximize its efficiency. One way to increase the energy efficiency of your air conditioning is to invest in upgrades that will make the system draw less power but without sacrificing your comfort. Here are a few suggestions from Purl’s Sheet Metal & Air Conditioning for upgrades that can lower the energy your air conditioner uses while working its best to keep you cool. Thermostats have a larger effect on AC efficiency than you probably realize. Older manual thermostat models are often imprecise and inaccurate, that means you will often set them to energy-draining temperatures without realizing it. The current crop of digital programmable thermostats not only increase precision, but they allow you to control the AC when you are not at home. You no longer have to waste power running the air conditioner all day so you can come home in the afternoon to a cool house: instead, you program the AC to turn on a half-hour before you come back. If your AC seems to be losing more and more efficiency with the years, you can have the outdoor condensing unit replaced with a new one, instead of replacing the entire air conditioning system. The new condenser will restore the efficiency of the system, and may even make it better than before. This upgrade is done to your ventilation system. Technicians fit dampers inside the ductwork that control the flow of air to different parts (“zones”) of the house, and then connect the dampers to individual thermostats. This allows you to shut off cooling to parts of the house that do not require it, such as empty guest rooms. With zone control, you no longer have to expend power cooling down the whole home when only a few locations need it. Call Purl’s Sheet Metal & Air Conditioning and talk to one of our NATE-certified and EPA-certified technicians for more ideas on how you can increase the energy savings from your AC. We have served Fresno with air conditioning services since 1952, and we can help you get the most from cooling system. Can I Do Maintenance During the Summer? Many homeowners seek air conditioning maintenance at some time around the beginning of spring. Air conditioning maintenance is a valuable service that can improve the performance, efficiency and overall well-being of your air conditioning system. This makes spring seem like the ideal time to schedule service as you can protect your AC for the rest of the cooling season. However, summer can also be the perfect time to call for air conditioning maintenance. In the summertime in Fresno, your air conditioner is at a high risk of sudden failure, which may be prevented with a maintenance visit. There’s still plenty of time left in the season, so here are a few of the reasons you should schedule air conditioning maintenance today! During the summer, your air conditioner runs for long periods of time and works very hard to keep you cool. This may mean, however, that your system begins to develop wear and tear which may seriously damage your system. If your air conditioner receives regular maintenance, you may be able to catch repair needs early on to prevent further damage to your system. During maintenance, a technician performs a full inspection of your AC. If any damaged part of your air conditioning system threatens its well-being, your technician will let you know so that you can schedule repairs early on. Air conditioning maintenance also improves the performance of your air conditioner. Low refrigerant levels, dirty parts, or a frozen evaporator coil may all affect the cooling ability of your air conditioner. With maintenance, a technician checks refrigerant levels and cleans the coils so that your AC will continue to cool your home as it should. When your AC has to work harder due to dirt and debris, a frozen coil, low refrigerant levels, or damage to the system, efficiency often suffers. Air conditioners that receive regular maintenance often maintain a high percentage of efficiency over time, so your bills are likely to be lower than they were before maintenance. To schedule certified maintenance for your air conditioning in Fresno, call Purl’s Sheet Metal & Air Conditioning today! Posted in Air Conditioning | Comments Off on Can I Do Maintenance During the Summer? What Do Strange Noises from My Water Heater Mean? Strange noises coming from any powered appliance is often a sign of trouble, and your water heater is no exception. When an unexpected sound starts to interrupt the standard operation of a water heater, you should call for professional technicians to look into the issue and see what needs to be done. Ignoring the problem puts you at risk of losing your hot water supply when the water heater breaks down. Here are some of the more common noises that you may hear from a malfunctioning water heater. Please don’t try to do any close diagnosis yourself: call up a water heater repair service and describe the situation, and then let the professional technicians handle it from there. Purl’s Sheet Metal & Air Conditioning is on call 7 days a week to handle repairs for water heaters in Fresno. You can put your trust in our more than 60 years of quality service to the Central Valley. Popping and banging sounds: Although these noises can be startling, they may simply indicate that you have the water pressure set too high. If that’s not the case, then the high pressure is coming from another source, such as the water overheating, and you will need to call for repairs from a technician. Rumbling: This often indicates that you have excessive levels of sediment at the bottom of the tank. Sediment gathers from particles in the incoming water (particularly if you have hard water), and unless the tank is regularly flushed, the sediment layer will decrease the volume in the tank and create that rumbling sound. Call for technicians to flush out the tank, which should take care of the problem. Another possibility is that a broken dip tube is causing the incoming cold water to mix with the hot water at the top of the tank. Technicians can replace the broken dip tube. Hissing and whistling: These are worrisome sounds, and for good reason: they indicate extreme high water pressure in the heater that could pose a danger. Call for a repair person immediately. Sound of constantly running water: This is often an issue with the pressure relief valve, which is designed to prevent spikes in water pressure by occasionally leaking out water. But if the relief valve breaks, it will start leaking water regularly and create this sound of constant running water. You will need professionals to replace the valve. 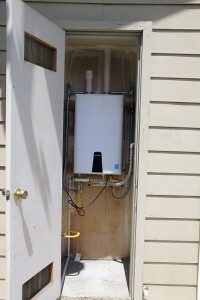 Sometimes, an odd sound from a water heater is normal, but you do not want to take any chances. 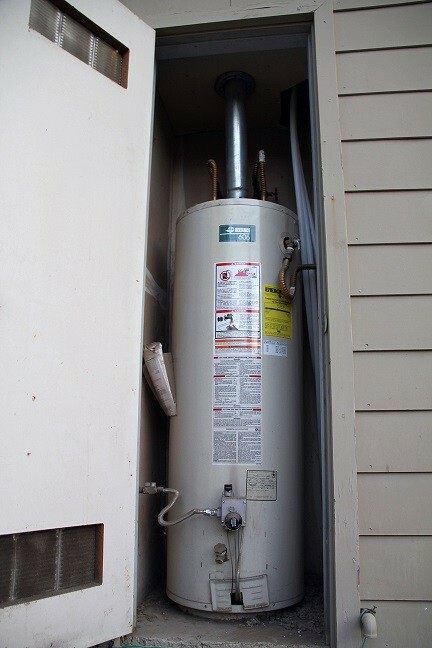 Always call for professional repairs if you notice strange behavior from your water heater. 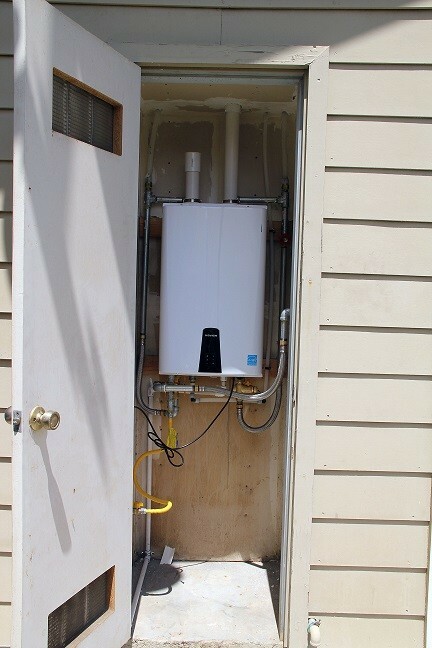 At Purl’s Sheet Metal & Air Conditioning, we offer full service for water heaters in Fresno, CA that includes repairs, installation, and maintenance, and we can handle whatever ails your water heater. 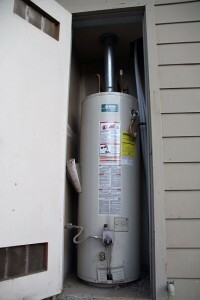 Posted in Water Heaters | Comments Off on What Do Strange Noises from My Water Heater Mean? When the summer heat strikes in Fresno, it can slam down on us like an anvil. You need a sturdy and reliable air conditioning system to help you through the long heat. And just as important, you need to have a reliable HVAC service company to help with maintenance and repairs to make sure your AC keeps you cool all the way through the summer. Purl’s Sheet Metal & Air Conditioning has served the Central Valley since 1952, we have the experience necessary to help you get the most efficient and effective cooling from your air conditioning system. Of course, keeping the air conditioner working during the heaviest heat can be costly. However, there are ways to keep those costs under control; here are some tips for how to save money during the summer heat waves. It’s tempting to pull the thermostat down to its lowest possible setting when the heat soars. However, this is not only expensive (it keeps the compressor running almost constantly) but it will put tremendous stress on the components that risks a breakdown. You should not set your thermostat lower than 72°F, which is a comfortable temperature that will keep your bills in check and your AC from overworking. One of the best ways to reduce air conditioning use during heat waves is to lower the amount of heat your air conditioner must combat. If you shut off appliances that generate extra heat during the day time, you can often reduce your air conditioner use by 10% or more. Avoid cooking during the day with stoves and ovens. Do not use indoor laundry facilities. If possible, avoid taking daytime showers, which produce high levels of moisture that makes the heat feel worse. This is planning ahead: you should always have a maintenance visit from an HVAC technician once a year to make sure that your air conditioning system is working at its best and provide necessary adjustments, tunings, and cleanings. This will not only make sure that your air conditioner is not costing you extra money to run, but it will also catch potential repair issues that might turn into major repair problems during the stresses of a heat wave. Maintenance is the best preparation you can have for a long summer. Get started saving money and preparing for the heaviest heat the summer can offer with a call to Purl’s Sheet Metal & Air Conditioning. Sign up for our Ultimate Service Agreement, which includes two seasonal tune-ups for your air conditioner and your heater from NATE-certified technicians, plus preferred customer states and discounts on repairs and upgrades. We are here to help you save money on air conditioning in Fresno, CA all year long. Everyone at Purl’s Sheet Metal & Air Conditioning hopes you and your family enjoy a vibrant Independence Day/Fourth of July this year!